Are You Bewitched, Bothered and Bewildered on How to Deal with Your Facial Hair? Laser hair removal for unwanted hair on the face for both women and men could not be easier. The best part is that your hair is permanently reduced. Plucking, waxing or shaving is annoying. 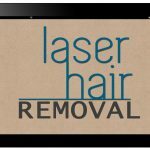 Laser facial hair removal cost is very affordable when you compare it to all of the alternatives. Aren’t you ready something that is more permanent? Laser is the quickest long-term way to get rid of facial hair. It requires a series of treatments. Usually the session only lasts a few minutes. You are in and out. That is a big advantage when you compare laser to electrolysis. However, if your hair is blond or light, electrolysis is pretty much the only way to go for long-term hair removal. 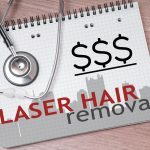 What is Our Laser Facial Hair Removal Cost? At our laser center, the laser cost to remove hair on the lip is $150 per treatment. For ladies, the laser cost of removing hair on the full face is $175. For men, hair removal of the full face is $200. A series of treatments is necessary for long-term lasting laser hair removal. At our medical facility, you pay only for what you need. It is expensive and unnecessary to buy an expensive package. Packages are strongly pushed by the chains and at med spas. Packages make them more money. The truth is that only buying treatments when you need them is more economical. Buying a series of nine treatments with a legally binding contract is much more expensive. Compare your cost per treatment. You will come out ahead financially if you pay for exactly what you need. We strongly recommend that you only have your laser facial hair removed at a medical facility. As the popularity of laser treatments has grown, some places have pushed the safety boundaries. Having your facial hair removed at our truly medical facility as opposed to a med spa, is not only safer and more effective, but it will result in you saving money. That just follows like mushrooms after a rain. Cost is the number one question but what about the experience of the laser hair removal center? Often the experience of an office is never even considered. However, a laser operator’s experience should be one of the most important considerations in deciding where to have your facial hair removed permanently. Have you ever considered that the worst time to get sick in the hospital is in July? That’s when all of the new inexperienced interns and residents start their medical rotations. Because these inexperienced interns make more mistakes, you suffer. It is true! Experience counts a lot in the medical field. The laser is a medical device that should be operated in a hospital or a doctor’s office. Otherwise, you are playing Russian roulette. Our laser hair removal experience is the longest in the city. Time for some cool facts about laser hair removal for facial hair. Fact #1 Everyone wants to know what it feels like. It feels like tiny zaps. Our laser shoots a cool jet spray of Cryogen with each laser pulse. Although some centers recommend taking an over the counter pain reliever, it is not necessary for 98% of our patients. Some places also give a numbing cream. With the Cryogen cooling jet spray, that is almost never necessary either. Fact#2 People want to know if it’s permanent. Since hair grows in cycles, you need to repeat the treatments until the hair is permanently reduced. As the treatments progress, the remaining hair will become finer. That is villus hair like the hair on newborn babies. Fact #3 We tell people on their initial free consultation how well we think it will work for your face. The laser light works best on dark hair and light skin. Since the laser doesn’t have a brain, engineers program the laser like they program a computer to target certain things. It targets dark colors the best. That’s why you cannot tan before you come for laser hair removal. Fact #4 For laser hair removal on the face, it usually takes 4-6 treatments to get best results. Maintenance is required for most people but some never have to return. Everyone is different in that regard. We are all like snowflakes – unique and created specially. Waxing runs about $50 for a full face. However, the hair grows right back. For the cost of four waxing treatments, you can have the same full-face laser treatment. That cost permanently reduces the hair on your face by 10-20%. In the end, you will save money by having laser hair removal. If you just have hair on your lip, it costs even less. How does the cost of facial laser hair removal compare to electrolysis? Lip hair electrolysis usually runs about $150 to $300 but can go as high as $1000 if the hair is coarse. It takes 10 to 30 minutes. If you have blond, gray or light red hair, electrolysis is definitely the best option for you. Plucking and tweezing is free! Unless you have just a couple of hairs, that’s not practical for most people. A big negative of plucking or tweezing, besides the pain, is the fact that it never ends. 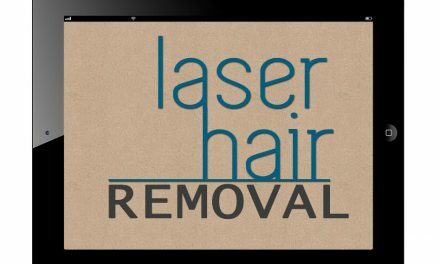 Laser hair removal is trending because it is fast and it works. If you are unhappy with the results or the service, you are stuck. If they go out of business, you are stuck paying for treatments that you never receive. Not everyone needs the same number of treatments. That will affect your total cost. Since everyone’s needs are different, it behooves you to get an estimate of price and what results you can expect. Go to an experienced physician’s office and pay less. 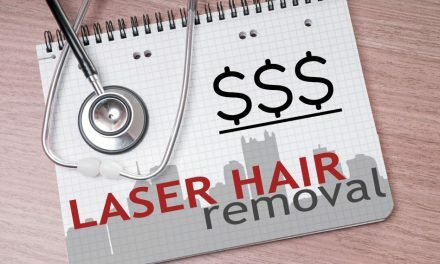 Besides the safety of having it done in a doctor’s office, it will cost less than a chain or med spa where your laser facial hair cost will be more. That’s because those kinds of places push expensive packages. You will end up paying a higher price for your laser hair removal at places where there is expensive advertising, marketing people and closers hard selling laser hair removal. Tired of the unending waxing, plucking or tweezing of your face? A hair free face at a fair price that you can afford will be your reward if you call us at 724-969-0600 or contact us here. 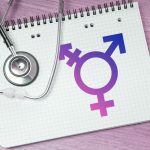 PreviousLaser Hair Removal vs. Electrolysis : Which is Better for You?